Figs are very healthy and energetic food supplements. Figs have iron content and increases hemoglobin in your blood. Banana is also an instant energy supplement food. 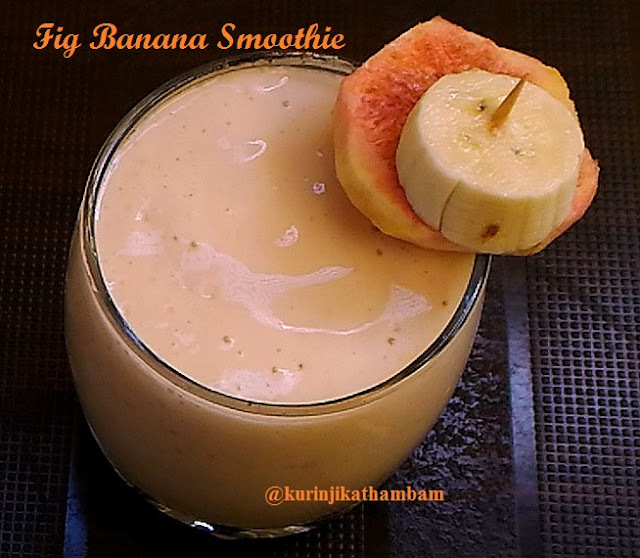 Fig Banana Smoothie is a tasty, easy and quick way to provide the goodness of both Fig and Banana to your family. 1. 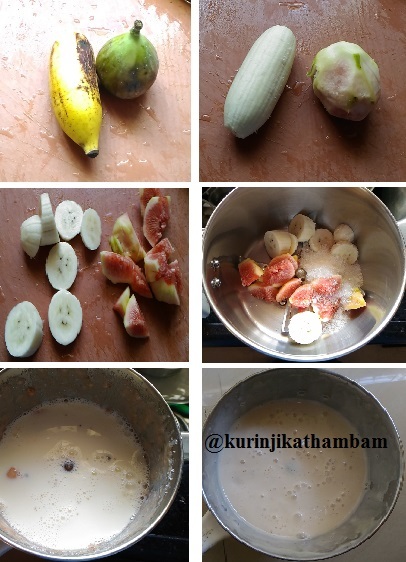 Remove the skin of the banana and fig. 3. Grind them with sugar with mixie or juicer into a fine paste. 4. Now add milk and again grind them for 30 seconds. 5. 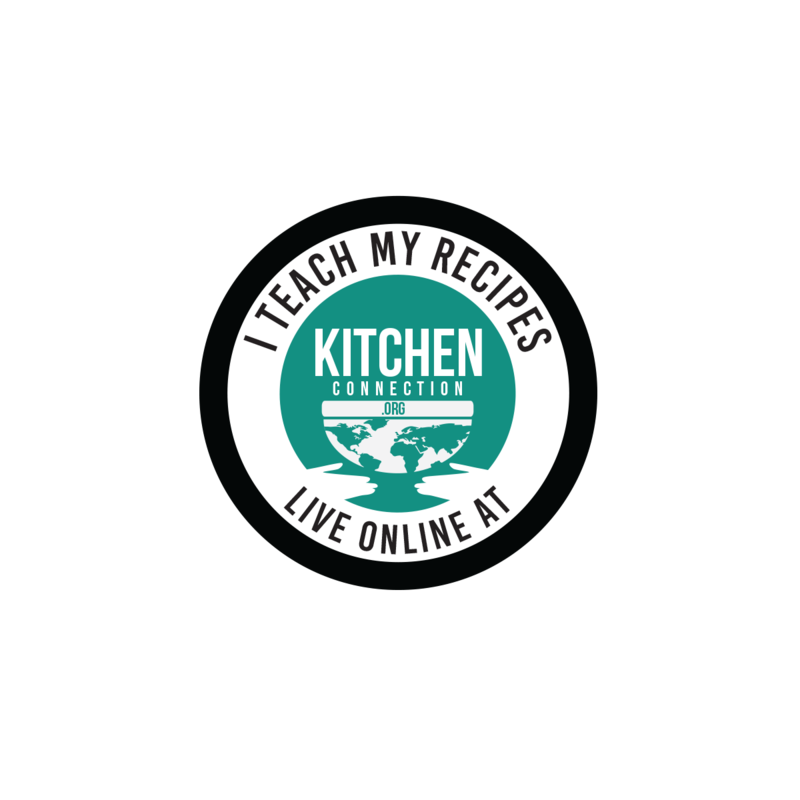 Strain the smoothie using the juice strainer and serve it chill or at room temperature. Healthy and tasty smoothie is ready. 1. Add ice cubes are optional. 2. You can add chilled milk instead of ice cubes.